Spanish football manager Gonzalo Arconada was recently in the UK studying English with la Academia. Mr Arconada has experience of coaching at some of Spain’s best-known football teams, including Numancia, Almeria and Real Sociedad. He spent 6 weeks with la Academia doing intensive English classes. At the end of his stay, we asked him about his experience of studying with us. Why choose la Academia to study English? I work in the world of football, and I chose la Academia to improve my English because of its relationship with the world of football. In all professions, it is important to know the specific vocabulary. That convinced me to choose la Academia. It is also near Manchester, and close to cities like Liverpool, Bolton, Wigan … in short, a good chance to watch football without having to travel long distances. What did you think of the teaching at la Academia? It has been 6 intense weeks, with many hours of one to one English classes. That has allowed me to gain confidence to understand and speak better English. la Academia is small and gives personal attention. I have had experience in learning English at a well known large academy, but found the treatment was impersonal. That personal attention is a very important factor for la Academia. What did you find hardest about learning English? I find hardest about learning English to have confidence in speaking – being able to transmit ideas and also to understand what other people say to me. So I decided to come to England to have the opportunity to practice it at all times. Thanks to William my teacher I have improved a lot, I know that. Did you enjoy your stay in England? Yes, of course!!!! I’ve enjoyed so much. I’ve got to know Manchester, Liverpool, and other nearby areas. I have seen part of the culture, people welcomed me very well, they are very friendly people. I watched Premier League and League One football, as well as junior players. In short, I experienced how people live football in England. Honestly, I am very grateful for the way I was taken care of. Will you come back again in the future? I think so. I’m going back with the feeling that I have much to know here. In addition to that, of course, I have to keep improving my English level. 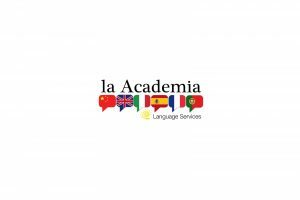 Would you recommend la Academia to other students who want to learn English? Yes, of course!!! As I’ve said before, they give personal attention, and their English classes are adapted to the needs of the student. Everything was well organized, and the staff is excellent. We look forward to seeing Mr Arconada again soon! If you have friends or colleagues who want to improve their English, please recommend la Academia to them!